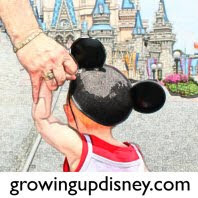 Growing Up Disney: Aulani- it's now open! 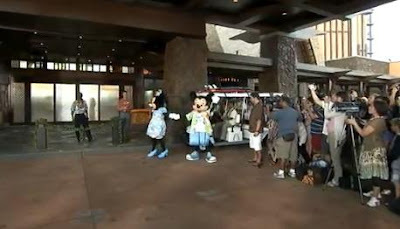 Phase One of Aulani, a Disney Resort and Spa, Ko’ Olina, Hawai’i opened Monday, August 29, 2011. The doors opened to the lobby for check-in at 6:30 am… way before the official hotel check-in time of 3 pm. But true to form, Mickey and Minnie, in their Hawaiian vacation clothes were there to welcome the first guests. Fortunately opening day speeches were kept short and the Mahi Family was given the honor of being the First Honorary Family to check in to Aulani. You can see an interview with them on the official Disney Park Blog site by clicking here. I have kept up with the construction of Aulani largely through Werner Weiss and his website, http://www.yesterland.com/. His 20th Aulani article is on Opening Day with pictures taken by former Disney Imagineer, Mark Hickson, who now lives in Hawaii. These are some wonderful pictures so take time to visit them here. There are already some good videos posted on www.youtube.com of opening day too. Just search for “Aulani opening” and you can take an “unofficial” tour. Aulani’s opening has not been without some pain. Jim Lewis, president of Disney Vacation Club, was one of several Disney cast members who lost their jobs over the project just a few weeks ago. It has been reported the dues were miscalculated and set way too low to pay for maintenance and operations of the resort. DVC suspended sales at Aulani in July and will not resume until new dues rates are set and approved by the state of Hawaii. Claire Bilby, who started with Walt Disney World marketing in 1988, has been name to the top post to replace Lewis. One other minor change I have noticed. The Disney web sites have changed the way they refer to the resort. It has been shortened to Aulani, a Disney Resort and Spa removing the “Ko’ Olina, Hawai’i” from the name on the website. Not much, but since Disney always has a reason for every detail I thought it was worth noting. Aulani’s opening brings to 12 the number of Disney Vacation Club resorts. In an interview I saw with someone checking into Aulani, they were so excited to check into the “first Disney resort not associated with a theme park”. This is true as long as you don’t count Disney’s Vero Beach Resort and Disney’s Hilton Head Island Resort. I’ve been to both of these and think they are both well worth counting. But neither are in Hawaii, so maybe he was just so excited to be in Hawaii? Sorry for all the links to other sites, but there is no way I could put all the pictures here. Amy has already posted she thought it would be a good place for wedding vow renewal. Mom has already told me she wants to celebrate our 40th anniversary (2013) there. I can’t wait to visit “Island” Mickey & Minnie in their new vacation home.